Wheatgrass boasts some impressive nutritional stats. It’s an excellent source of chlorophyll, vitamin A, vitamin C, and vitamin E, and to top it all off wheatgrass contains 98 of 102 earth elements found in soil, including phosphorus, calcium, iron, magnesium, and potassium as well as essential enzymes and 19 amino acids. Wheatgrass is also overflowing with vitamins, and liver enzymes. The star of wheatgrass’ nutritional makeup is chlorophyll, a phytochemical that gives dark leafy greens their color. Chlorophyll is essentially the blood of plants; and in humans, it reverses aging, suppresses hunger, cleanses the blood, combats odor, and has been linked to the prevention of cancer. 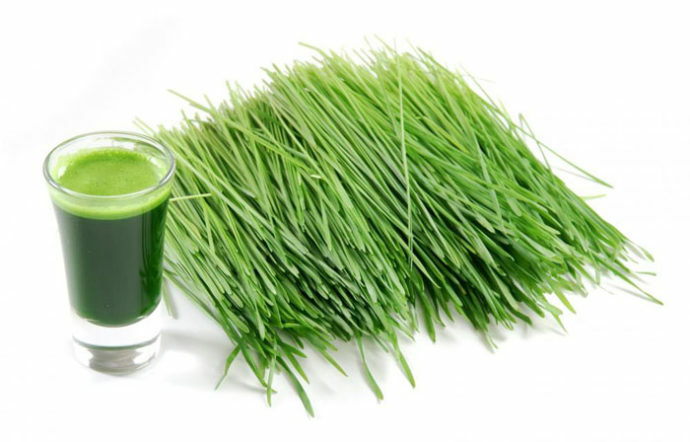 Wheatgrass is made up of 70 percent chlorophyll — it’s no wonder it’s so powerful. Wheatgrass is unlike any other health food. Here are 35 reasons to incorporate wheatgrass into your daily routine.